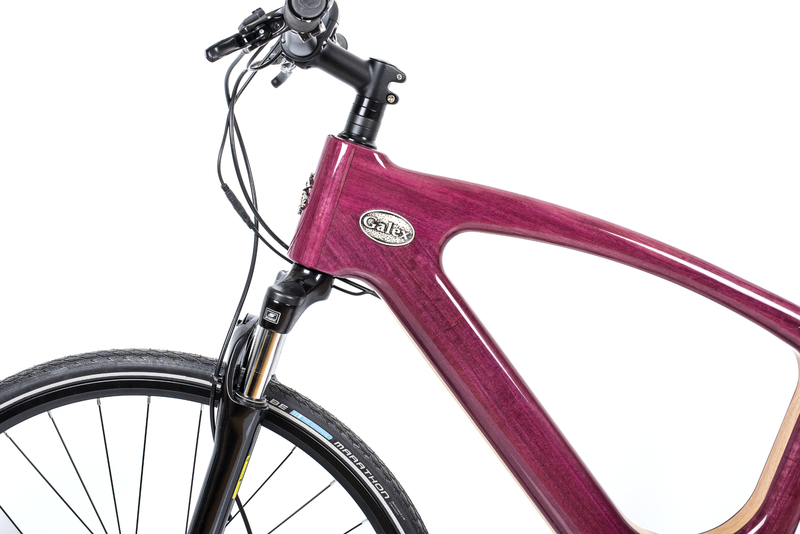 The frame is predominately hand-crafted, made from beautifully polished, naturally coloured wood. 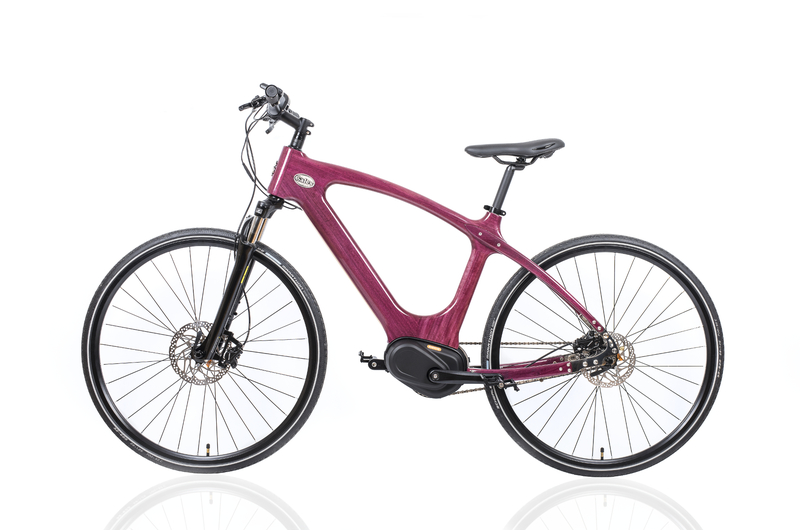 The battery is integrated inside the frame together with cables and hydraulic brake hose. All front and side Galex’s logo signs are cast and gold or silver plated. The warmth of wood keeps your contact with nature all the time, wherever you go. Galex’s frame is carved from two types of wood: Wood from different exotic trees for the surface, providing depth of beauty and aesthetics. Ash for the core – a stable base ensuring hardness and solidity. All the materials are chosen to be consistently tough, durable and water-resistant. The ride is as beautiful as the looks. 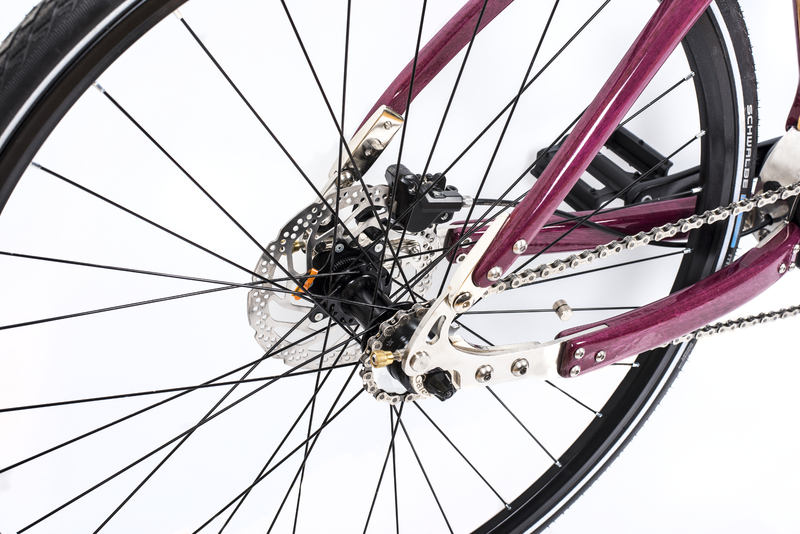 All Galex’s mechanical and electrical components are of premium quality ensuring smoothness and pleasure of the ride. 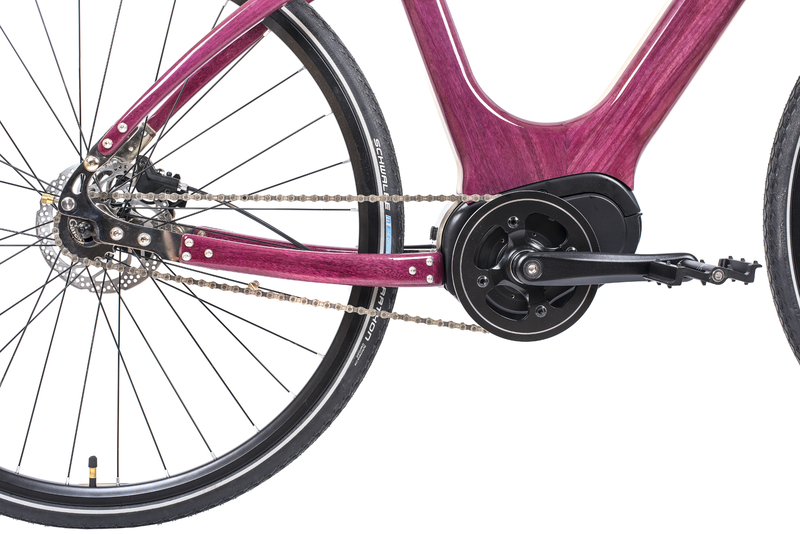 Galex’s unique sliding dropouts provide flexibility and adjustable tension to the chain – the ride is stable and predictable during long journeys. Galex’s powerful motor is brushless, mounted in the middle of the frame for optimized performance, with a torque sensor and five assist levels. The battery has large enough capacity and recharges rapidly. The motor is a Bafang Max Drive 250 W with a torque sensor and five assist levels. The battery is fully integrated inside the frame and can be easily removed for servicing; contains Sanyo/Panasonic 3500 mAh cells with capacity of 252 Wh. 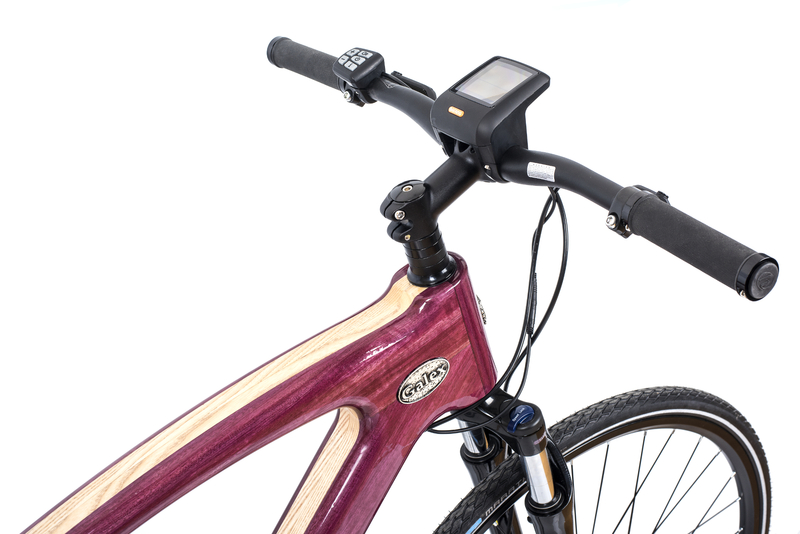 Galex’s top speed is 25 km/h and the mileage is 50 km with a single charge. 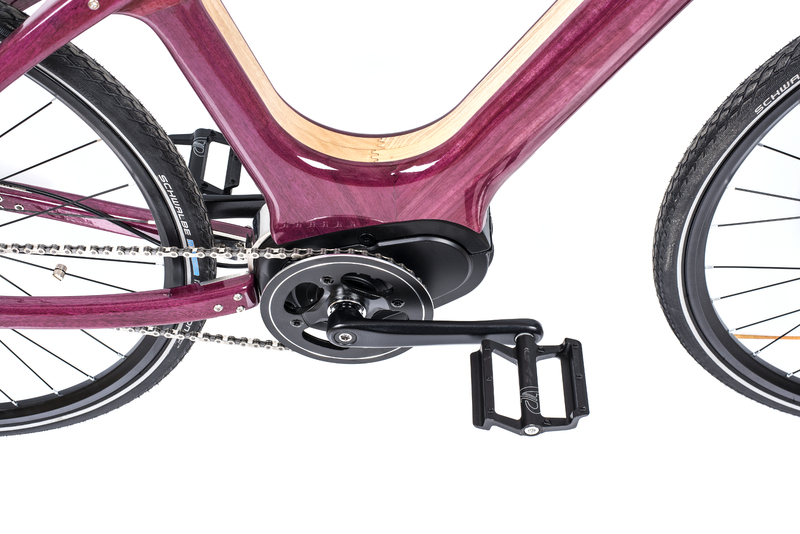 Galex is equipped with Shimano hydraulic brakes, Schwalbe tires and a Suntour suspension fork. The horizontal sliding dropouts are designed and manufactured specifically for Galex’s unique frame. Total weight is approximately 22 kg.